Last week, the Asian-American Students Association (AASA) and the Asian Pacific American Law Students Association (APALS) collaborated on a presentation about the treatment of Asian-Americans in U.S. history and Asian-Americans’ historically lower rates of political participation. 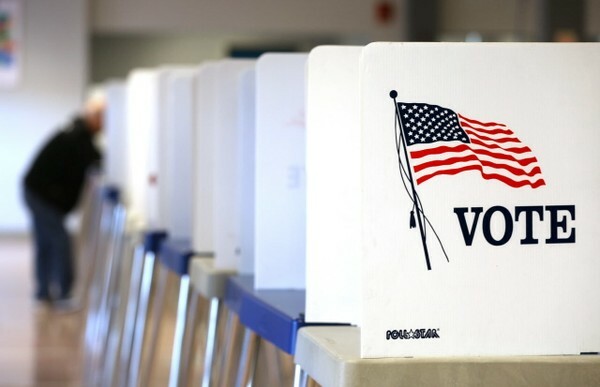 John Kim, a 2-L at Vanderbilt Law School and Co-President of APALS, said that, generally speaking, “Asian-Americans are very dormant when it comes to voting and political activism.” Kim’s observation is supported by data from recent elections. In the 2012 presidential election, voter turnout among Asian-Americans was 47%, compared to 64% for white voters and 67% for African-American voters. In the 2016 presidential election, voter turnout among Asian-Americans was 49%, compared with 64% for white voters. Kim attributes this phenomenon to the fact that many Asian-Americans come from countries that don’t have the same democratic norms as the U.S. In these countries, Kim continued, citizens are sometimes taught that “the nail that sticks out is the one that gets hit by the hammer.” Wei said that the deficit in political activism comes from the complex effects that immigration often has on identity. Wei said, “Having to juggle two different worlds, many [Asian-Americans] feel like they don’t have a firm enough balance [in the U.S.] to get politically involved.” Kim and Wei argued that the history of Asian-Americans in the U.S. shows not only why many Asian-Americans have chosen not to participate in politics but also why it is so important that more Asian-Americans get involved. AASA and APALS urged Asian-Americans at Vanderbilt to rethink the way that they view the history of Asian-Americans in the United States. The groups cited discrimination of Asian-Americans in workplaces and on railroads in the 19th century. They discussed the so-called “Yellow Peril,” which resulted in discriminatory immigration laws such as the Page Act of 1875 and the Chinese Exclusion Act of 1882. They also cited alien land laws, which made it harder for many Asian-Americans to purchase property, anti-miscegenation laws, which forbade marriage between people of different races, and the internment of Japanese-Americans in World War Two. This history, the groups emphasized, directly impacts the way that Asian-Americans perceive their role in political processes in the U.S. Many political scientists have identified Asian-Americans as a crucial swing demographic in the 2018 midterm elections. Asian-Americans, the fastest growing minority group in the U.S., are expected to make up one-tenth of all voters by 2044. Check if you’re registered to vote at this link, and order your absentee ballot here. Crofton Kelly is a senior studying economics, history, and philosophy. Crofton likes playing racket sports and reading history books. After graduation, he wants to work on a presidential campaign, go to law school, and work in public service. I got two networked blog site setting of a single blog site in facebook. I want to remove of them. Is there any method to remove only one networked blog maintaining the an additional as it is?. What are some great Tumblr blogs that allow you to submit images, to obtain more fans? I just want to mention I am beginner to weblog and honestly enjoyed your web site. More than likely I’m going to bookmark your blog post . You really come with fabulous articles. With thanks for sharing your web page.